Catch air on the three big bumps of this wild raft ride before splashing into the pool below! 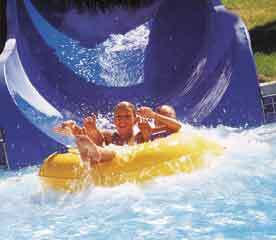 Viper's Vortex..Blast down a four story zoomin' flume, then take a whirl into a high velocity vortex into the cool waters below! This two-person bowl ride is the newest in slide design and technology, and the first of its kind in Idaho! 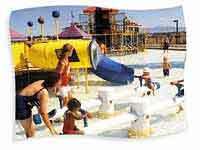 Come and enjoy the Boise area waterpark! Not only do they have The Avalanche and Rattlesnake Rapids, but you can enjoy the Endless River and the Leisure Lagoon. The Food Court at Roaring Springs has a great variety of delicious foods to satisfy even the hungriest appetite, the Gift Shop has all your fun-in-the-sun supplies and Roaring Springs gift items, and automated lockers will allow you to leave your clothing and items safely tucked away. Directions: Off I-84 at exit 44 in Meridian, Idaho. The park is approximately five miles west of Boise. 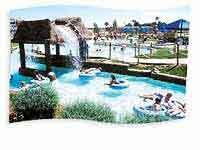 We do not have any current pre-built packages for Roaring Springs Waterpark . *Open 5/11/13-9/15/13 (May & September weekends only) Standard hours are from 11 am to 8 pm. PM Plunge after 3pm-8pm (all ages) - $21.99+tax Children (3 and under) - FREE! You are participating at your own risk. 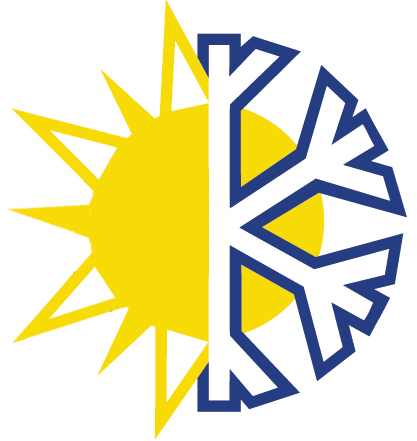 Admission by ticket or season pass only. No refunds. The severe weather policy is posted at the entrance. Children 8 years and under must be accompanied by a ticketed adult. Children wearing diapers should wear swim diapers with tight fitting rubber or plastic pants. Appropriate swimwear required. No belts, buckles, chains, jeans, bikini thongs, etc. Swimwear subject to park approval. All flotation devices and furniture subject to park approval. Life vests and tubes are available at no charge. No smoking in the park. Additional policies and instructions are posted throughout the park. Failure to follow park rules could result in serious injuries and/or removal without refund. No coolers, food or beverages allowed in the park. Thunder Falls Family Raft Ride Catch air on the three big bumps of this wild raft ride before splashing into the pool below! Viper's Vortex Blast down a four story zoomin' flume, then take a whirl into a high velocity vortex into the cool waters below! 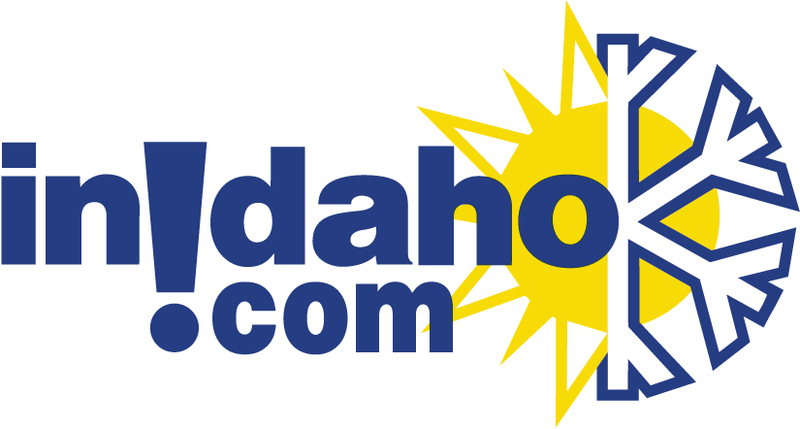 This two-person bowl ride is the newest in slide design and technology, and the first of its kind in Idaho! Mammoth Canyon Raft Rides Onboard the four person raft, Mammoth Canyon cranks you and the family around corner after corner as the raft spins and climbs the walls like a bobsled on water. White Water Bay Wave Pool White-cap after white-cap. 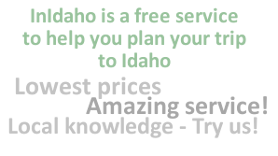 It's the best surf in Idaho. Equipped with a float tube and an appetite for the sea, those who test the turbulent waters of White Water Bay may spend the entire day playing in the waves. Pipeline Mines With darkness comes uncertainty. And that is exactly what's so thrilling about these enclosed tunnels that launch its riders and their tube blindly through the twists, turns and waterfalls into the waves below. The Avalanche Ride the icy landslide of the Avalanche a whole new way! 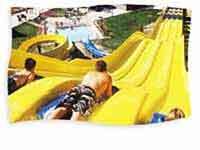 Two-person heavy duty rafts (not tubes) with full comfort supports will get you and a friend up and down this mountainous slide fast. Really fast. Best of all, you'll now ride facing each other, so you can watch your buddy experience the thrills and chills up close and personal. Super Splash City A kids' metropolis with thousands of gallons of waterpark fun, including a kiddie car wash, a fire truck, water tunnels and fountains all with a unique city flair! Rattlesnake Rapids The unexpected loops, drops and embankments of Rattlesnake Rapids make this pitch black ride a high speed thrill! Racing Ridge It'll get your engine started. This 350 foot aquatic drag race pits racers head-to-head all the way to the checkered flag. Endless River Round and round, where this river begins or ends nobody knows. This meandering quarter mile of sparkling blue water offers an afternoon of lazy rafting with a few surprises just to keep your attention. Double Trouble Get airborne. After a quick drop you'll feel gravity tugging at your toes, as these twin slides launch you skyward over the watery runway. Little Splash Mountain Kiddie Play Area Being a small tot does have its advantages. 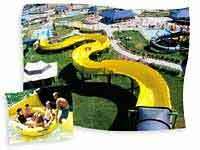 With a huge variety of interactive water playground equipment and a couple of kiddie slides, your kids will be safely entertained for hours Leisure Lagoon Ahhhhh, relax. Escape the thrills for a moment by taking a dip in the soothing waters of Leisure Lagoon. Please note: Guest reviews may mention certain amenities that may no longer be offered with Roaring Springs Waterpark. Please check the amenities prior to booking to confirm. "best waterpark we have been to." "The only thing that bothered me was that SOME of the attending staff requested that I remove my eyeglasses. I realize a safety concern and would have liked to signed a waver. It becomes more of a safety for me if I am unable to see to exit. Also if I had dropped them, my entire trip would have been horrible. I cann't to see to drive without them. I took precautions by buying a eyeglass headband. 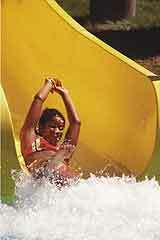 They have worked for watersking, I'm sure they would work for the slides."